Rise to new levels with PRAVANA. 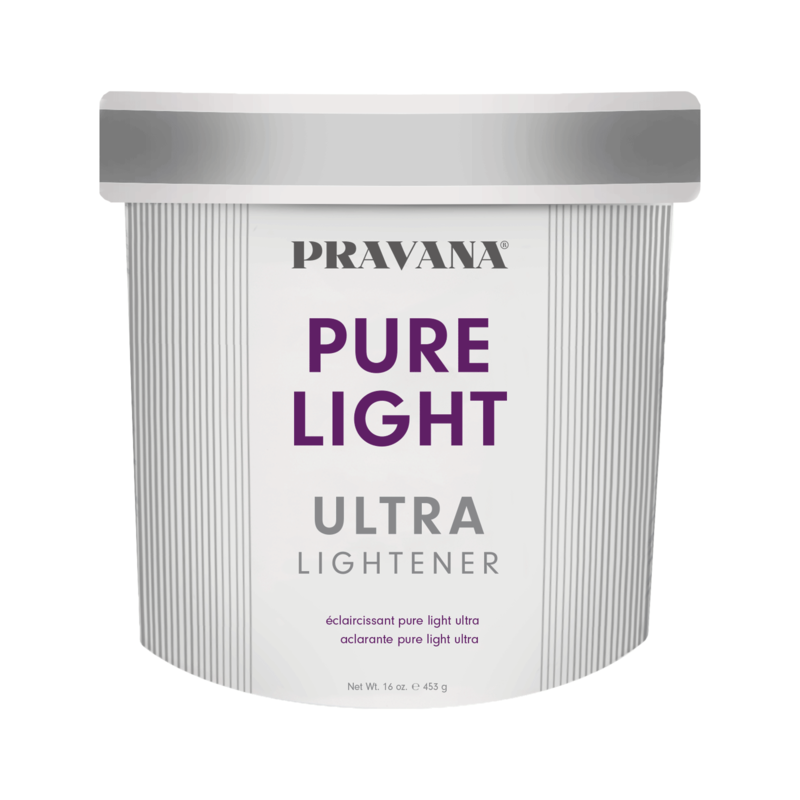 Pure Light Ultra Lightner lifts up to 9 levels and contains ReUnite Mending Technology. NEW ReUnite Mending Technology includes amino acids for internal strength to restore hair from the inside out and plant-derived mending ingredients to help to reunite the cuticle layer and is clinically proven to increase shine and softness. Pure Light Ultra Lightner is perfect for anyone who wants a high level of lift and can be used for on or off scalp lightening.